The Doon Valley public campus is one of the best and leading schools among the many other prestigious schools available in Dehradun city. 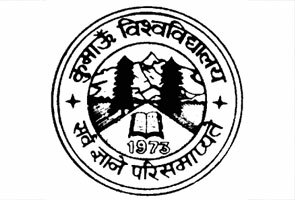 The school started with the aims to impart quality education in the region of Uttarakhand as well as various parts of world. Doon Valley public School is positioned at picturesque and pollution free atmosphere, in the pleasant climate of Dehradun. The Doon Valley Public School or shortly known as DVPS provides an ideal prospects to interact with children from different parts of the globe and earn international benefits. The school has been visualized as a one stop solution to the rising needs for a top class residential School. DVPS supplies a wide learning environment, with individual freedom, and the affluence of non-educational activities. From the time of its inception DVPS has provided quality education same as the other boarding schools in India and because of it Doon Valley Public School always remains the attractive center of education for both foreign as well as Indian students. The school provides various educational outings and camps are organized by the School to promote students in academics. The Doon Valley Public School (DVPS) plans varied range of traditional and modern extra- curricular activities that promote overall development of the students. 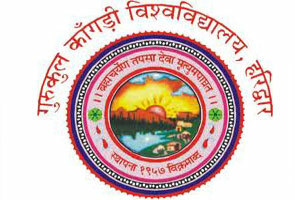 The co-curricular activities like skating, Karate, dramas, batik, Indian Music (vocal & instrumental), drawing, western Music (vocal & instrumental), clay modeling, debates, painting, quiz, tie and die, sculpture, sketch painting, arts and crafts, folk dance, Indian dance, western dance are enjoyed at the DVPS by the students. Special activities like rifle shooting, rock climbing, trekking, etc are also organized in Doon Valley Public School. The school emphasizes on various sports activities as it believes in physical and mental growth of student. Many outdoor games like Basketball, Aerobics, Cricket, Volleyball, and indoor sports like carom, table tennis, chess, and scrabble are also played in the campus of Doon Valley Public School. Beside these games, the School also plans morning sport session that includes P.T, jogging, and drill classes. Doon Valley Public School tries their level best to make the child feel at home. The welfare and overall development of the children is the prime duty of the warden directed by a student counselor and a student adviser. The school has offered beautiful dormitories to the students for accommodation. The hostel rooms are designed with great ideas and include all the necessities which are desired by the modern students. 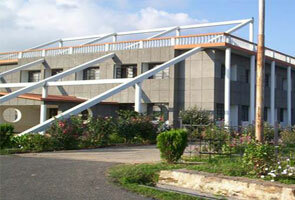 Spacious rooms, big hall, electric supply, mess is available in the hostels. Four students are placed in one room, which also possess well off toilet amenities on each floor. The hostels area are different for both boys and girls and each of them are guided by warden and dorm master. The admission procedure in DVPS is quite fair and easy. Both girls and boys are eligible for the day boarding. In order to take admission in Doon Valley Public School (DVPS), applicants should full fill the least age apply as on july 1, of the following academic year. If you want to admit your child in this school then first you need to collect then first you need collect application form in addition with prospectus and registration form. The parents/guardians of the children will completely fill both the registration and application forms. Registration is the first main step of getting admission in this school. But only registration is not the guarantee of admission of your child. To get admission in DVPS, candidate has to successfully clear both the entrance exam and personal interview. The admission of the student is done on the basis of merit.